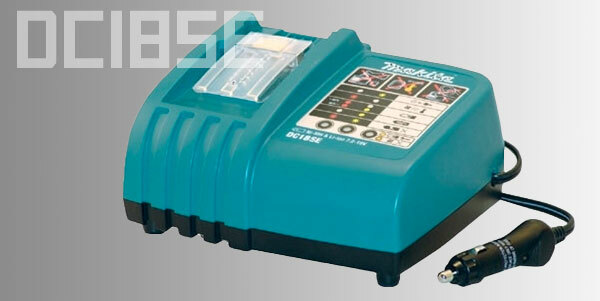 We found lots of availability for the most common Makita automotive offering, the DC18SE. It charges Makita’s NiMH and li-ion 7.2V-18V batteries (at least those with the current battery mount type) and checks in at around $100 via any of the major online outlets. Check out the link below for two other chargers from Makita that handle older/less-common battery types. 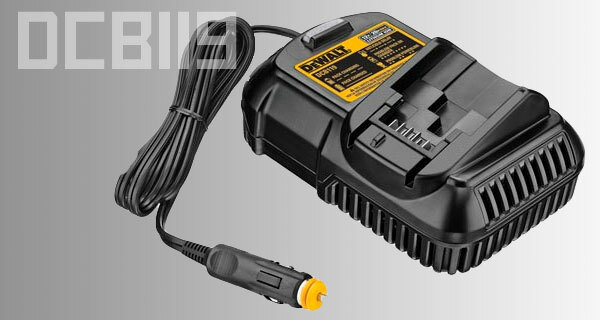 Pictured above is the DCB119 charger, which accepts and charges DeWalt’s 12V MAX and 20V MAX lines. DeWalt claims 40-minute charges for 12V MAX batteries and 90-minute charges for the 3.0 Ah 20V MAX big batteries. Expect to pay around $100 for it as well. If you’re still using an older DeWalt kit, don’t despair. They offer a whole range of chargers, including the DC9319 (7.2V-18V stick-type), the DS9108 (7.2V-18V post-stick type), and the DW0249 (24V fan-cooled). 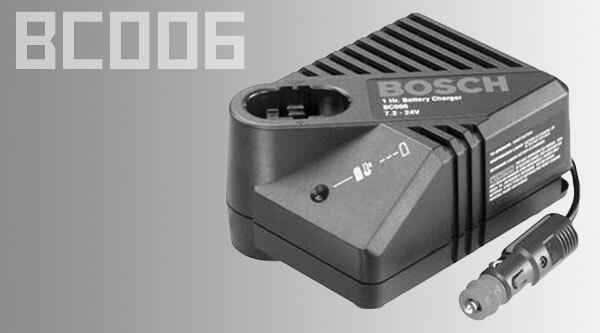 We’re pretty sure you can find others, but the Bosch model that turns up the easiest in our searches is the one pictured here: the BC006 one-hour charger, designed to charge the older 7.2V-24V stick-type batteries. Street pricing starts around $75. Leave it to the creative folks at Milwaukee to offer something a little different in their M12 line in the form of a combination wall and vehicle charger. As you can see above, you get a standard wall-wart-sized two-prong plug at the end of the cord, but you’ll also find a slide-to-deploy 12V accessory plug. Milwaukee claims a 40-minute charge time, which seems reasonable. Street pricing runs about $85. 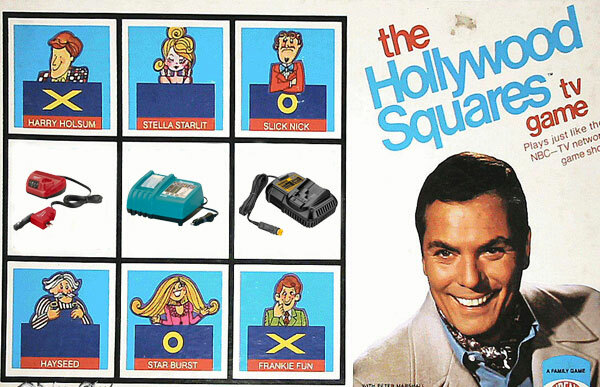 This post by no means represents an exhaustive list of your 12V on-the-go charging options, but you might need to dig around a bit to find the exact model to match your batteries, especially if said batteries are pretty old. Google is your friend. You’ll want to start with the term “[insert brand name here] [insert voltage here] automotive charger” then expand your search if necessary with variants including “vehicle charger,” “portable charger,” and “12V accessory charger.” If you still can’t find it, take a look at the manufacturer’s site where you’ll generally find a list of all chargers available. After that, your guess is as good as ours. You can also get a 200W inverter for about $20-$30 on Amazon or a 400W* inverter for $30-$40 and then use your home charger instead. My Ryobi 18V charger says it is 85W, so you could plug 2 of them into even a 200W inverter. *: The 400W inverters should be wired directly to the battery since most car power outlets/cigarette lighters can only handle 180W (15A). I was going to say, you could take that $100 and buy, say, a fine inverter instead. 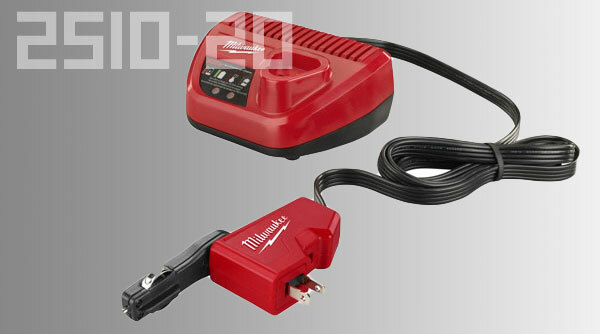 The Milwaukee makes the most sense, because if I ever found myself needing another charger for multiple tools, that charger could be used both in the shop and on the road. The current F-150 has a 110V outlet in it already. No need for one of these. Another vote for the inverter here. I charge batteries in their normal charger while driving between service calls; I don’t own a car charger for my phone either. Here’s one for you: A former colleague had a large inverter on his service truck and and kept a household coffee maker on board! It might be, but how long would it take you to make up the cost differential between an inverter (which can be used to power any AC devices within its capabilities) and one of these chargers (which can obviously only be used to charge that brand of battery)? I don’t have hard numbers, but as a ballpark guess, I’d say you’d be talking about the difference in fuel efficiency with the parking lights on vs. off in most vehicles. It’d take a LONG time, even at $5/gallon, to make up a $50-100 difference, and an inverter still gets you greater utility. As Rick noted above, lots of modern trucks have 110VAC outlets in them already, too, which makes both these devices and inverters totally superfluous. I have both an inverter and car charger for my Dewalt setup in the work truck. The inverter does a fine job of providing power with the truck running, but it drains the battery if left on for more than four hours at a job site. The car charger for the Dewalt will do two batteries between truck starts, much more than that and the vehicle won’t start. Some of this is because the truck battery is old. But for guys that don’t buy a new truck every other year, it’s something to keep in mind. +1 on the inverters. should be an option on trucks. i have an advantage with my f250 diesel having two large batteries. would like to wire in a 1000 watt and have outlets in cab. awesome….. These comments are hilarious. As if no one ever thought of an inverter. Thanks captain obvious! Even better… The guy whose solution to charging drill batteries is to buy a new pickup truck. Whether or not to charge your cordless batteries with a modified sine wave inverter is a controversial topic. Makita had a fit when I asked them directly if I could charge via MSWI, they virtually shouted “No!” and lectured me that they’d not be responsible for the results. Some people report they’ve ruined their batteries charging via MSWI; others have no problem. The safe route is to use a Pure SWI. And as other posters have mentioned, it’s inefficient. If you’re living off-grid, then DC to DC is the way to go.